Fresh from last week’s release of a new iOS app, a move CEO Mark Zuckerberg stated was unequivocally about speeding up the user experience, Facebook is apparently turning its attention to its Android app. Business Insider writes that “a handful of ex-Facebookers and others familiar with Facebook’s plans” report being strongly encouraged and, in some cases, forced to use Android devices instead of their iPhones. It seems like Facebook’s management hopes to subject its own employees to the inadequacies their Android users feel on a daily basis, though it’s unclear whether Facebook employees were forced to make the change because of the sub par Facebook app, or because of their reluctance to give up their iPhones. 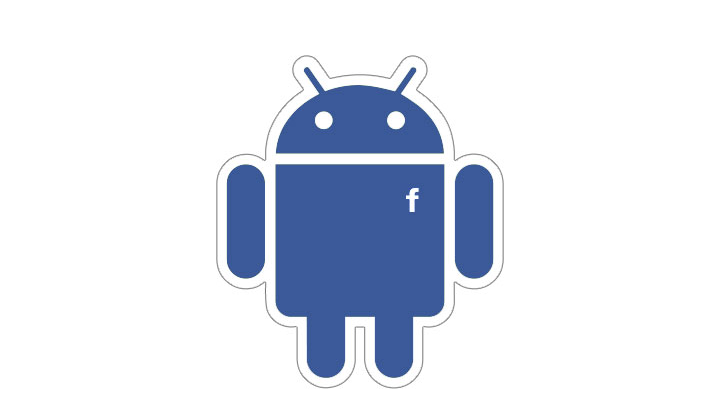 Frankly, the former wouldn’t necessarily come as a shock: Users of Facebook’s Android app have voiced their disappointment for some time, and it can’t even begin to compete with the refreshed iPhone app. The pitiful 3.6 out of five stars rating on Google Play also indicates there’s significant room for improvement. 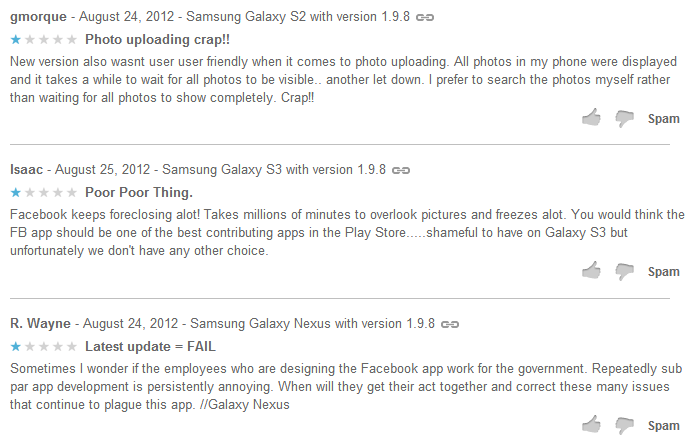 Just take a look at some of the user reviews. Facebook’s refocus on the UX of its entire base of users is a welcome sight to behold. The move also strongly suggests that Facebook is taking its stockholders’ concerns seriously as well, taking efforts to make the mobile experience a pleasurable one so that its forays into advertising on phones and tablets are an easier pill to swallow for its users. We can only hope this translates to a win for loyal Facebook users and brave (if anxious) Facebook stockholders. Really it would seem that the only parties to suffer in any of this are the Facebook employees forced to eat their own dog food — in the form of the currently lacking Android app. But if it’s for the good of the users, then so be it; and given the overwhelming positive reaction to the new iPhone app (something Facebook rarely experience with any update), it’s well worth the sacrifice.